Human's life is the most precious thing in the world. Each office, automobile, or home have their first aid kits. Super easy navigation of our template will help anyone choose the product they need in several minutes. 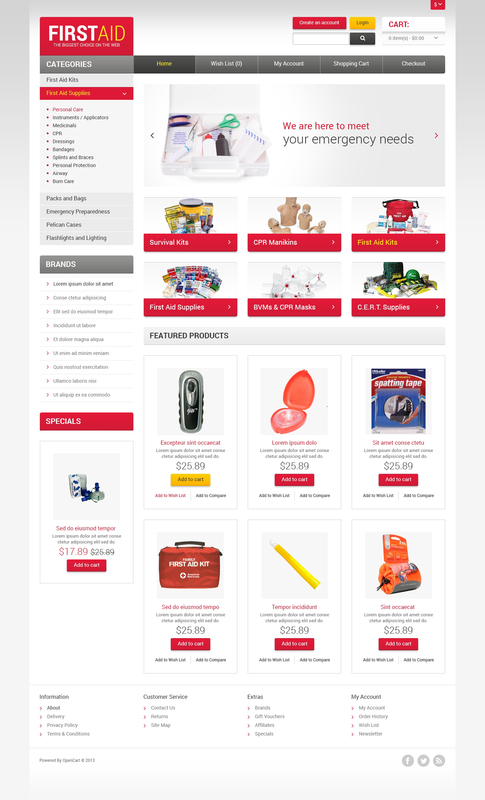 Red elements of the theme are compensated by white background, which tells the visitors that everything will be OK and first aid kits will save the life of their friends, family members, or acquaintances in case of emergency.If the template meets your needs, you're welcome to get it.